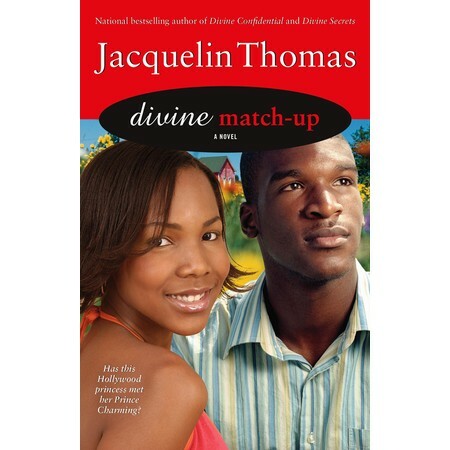 Known for her Christian fiction titles written for adults, it was a delight last year to encounter Jacquelin Thomas’ debut YA title Simply Divine which is the first title in a series of books about fifteen year old Divine Matthews-Hardison. After turmoil erupts with her parents, she is forced to go live with a family she’s never met in Georgia. As I read Simply Divine, I pictured in my mind Bobbi Kristina, the daughter of Whitney Houston and Bobby Brown. Readers who are avid fans of celebrity gossip will enjoy the Divine titles but understand that there is substance to these stories. In Georgia, Divine lives with her uncle who is a pastor, his strict wife, and their two children. Divine Confidential deals with teenage dating, teenage pregnancy as well as online dating. Divine Secrets tackles teenage relationships again with a look at abusive relationships. Nominated for an NAACP Image Award for Divine Confidential, Thomas does a wonderful job creating stories that connects with her young adult readers. Visit Jacquelin at her website or the website dedicated to the Divine series. What I love about Jacqueline’s series is how it balances out the teen series being offered featuring African American characters. It’s the sweet side to the racy peek that series like Hotlanta will inevitably provide. They all come together to provide a varied reflection of teen life among African Americans.